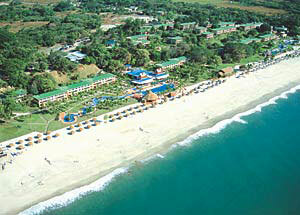 Located on the Pacific side of the Republic of Panama and just 90 minutes from Panama City, driving via a modern highway, you will get to Decameron Resort at Playa Blanca, Panama. 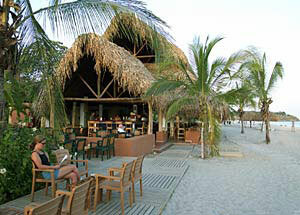 Playa Blanca enjoys more sunny days than any other part of Panama. 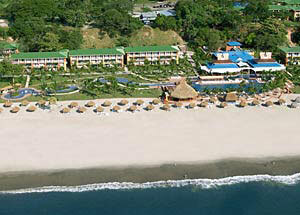 Royal Decameron Resort Playa Blanca features 600 rooms with balcony overlooking the sea; 8 restaurants: Panamai, Mogo Mogo and Atlantis for breakfasts and lunch, Bar Restaurant El Cayuco and Bar Palo Alto for a light lunch at the pool area. 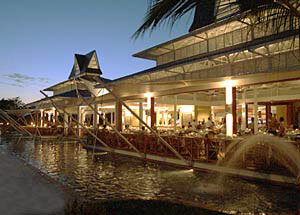 At night Panamai serves international cuisine, Mogo Mogo is a Thai Restaurant, El Cayuco is a Steak House, Sushi Samba is Japanese, El Canal and Atlantis serve a variety of seafood. 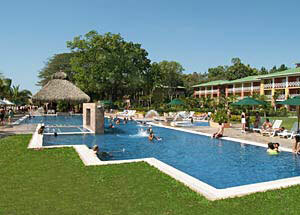 Decameron also features a discothèque, nursery, laundry, tennis courts and boutique. Decameron is an "All Inclusive Resort", which includes all food and national beverages, tips, taxes, daily program of activities, entertainment for kids, international Shows, live music, towels, marina for non- motorized sports, and much more. 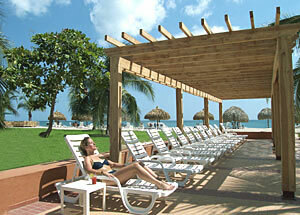 This resort has 600 guestrooms with tile floors, natural woods, and other tropical touches. 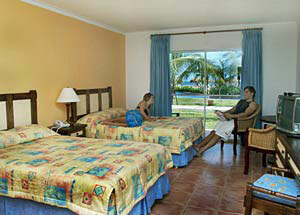 Rooms are distributed among several three-story buildings and offer balconies or patios with furniture and ocean views. 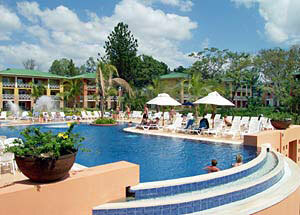 Amenities include air conditioning, satellite TV, and telephones.